I have written numerous times about the importance of having fun with our children and not worrying about whether they’re learning anything or not. 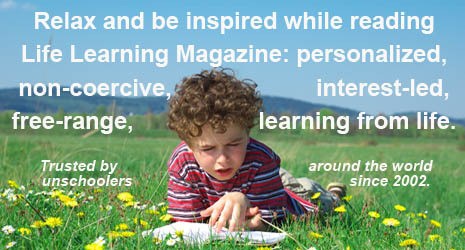 However, I don’t want to minimize the value of spontaneous play and the amount of learning that occurs through it. The first book I ever read about homeschooling was a few years after our family began our life learning adventure in the 1970s. It was And the Children Played (Tundra, 1975), a memoir by the late Canadian playwright Patricia Joudry about her young family’s life in the UK. I was delighted to read her humorous description of a life that was very similar to ours, where the children played as the rest of family life unfolded, including mom’s writing career. Like Joudry, we never doubted that self-directed, spontaneous play was the best way for our daughters to learn. Of course, there are many others who understand the immense value of play. Scholar and author Joseph Chilton Pearce has said that play (and I think he meant unstructured play) is the only way the highest intelligence of humankind can unfold. Sadly, spontaneous play is becoming a casualty of modern Western society’s frighteningly misguided attempt to better educate children. Despite a great deal of research to the contrary – and pleas from groups like the American Academy of Pediatrics – many parents and policy makers continue to believe that pressuring children to learn earlier and faster will help them succeed. Ever-younger children are being placed in structured teaching environments in the name of future success in school (which, of course, doesn’t have much to do with real education anyway). In school – and many homes – play is what you do when the more important, adult-led things are finished, like reading readiness and math drills. That’s why, in many schools, recess is endangered. The Museum of Play in Rochester, NY (now there’s a sure sign of an endangered species!) 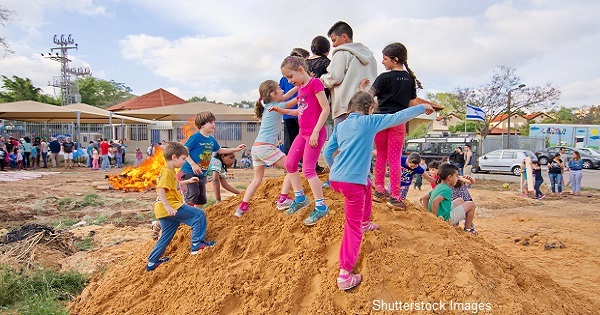 says that forty percent of elementary schools in the U.S. have reduced or eliminated recess, partially to make time to prepare for standardized testing (a policy that many parents support.) I’m sure the numbers are similar in many other countries. A related concern is children’s safety as they play. We have developed an unjustified fear that our kids will hurt themselves if allowed unlimited and unsupervised spontaneous play, disregarding the value of risk in their development. Oddly enough, an opposite trend is underway for adults. Many leading edge businesses are aware that creativity, innovation and productivity are nurtured by play, and are structuring play spaces into their corporate facilities. They’re quoting people like Swiss philosopher Jean Piaget, who once said to a group of adults: “If you want to be creative, stay in part a child, with the creativity and invention that characterizes children before they are deformed by adult society.” These corporate leaders know that play allows the mind to flow without restrictions – to explore, to experiment, to question, to take risks, to be adventurous, to create to innovate and to accomplish – without fear of rejection or disapproval. And that is the perfect learning environment...for all ages. So next time your child stops to play with an ant on the sidewalk, or just wants to run through some mud puddles, don’t hurry them along to an activity of your choice. Children have a lot to teach us about the best way to spend the present moment – they know all about the value of spontaneous play. Wendy Priesnitz is the founder and editor of Life Learning Magazine and Child's Play Magazine, and the author of 13 books.